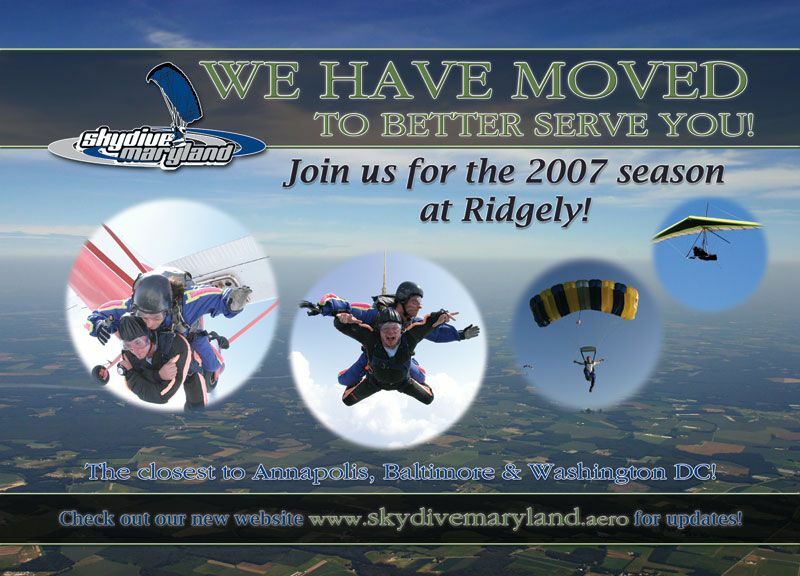 The Skydive Maryland postcard was designed with the same open airy feel to give the impression of actually skydiving. 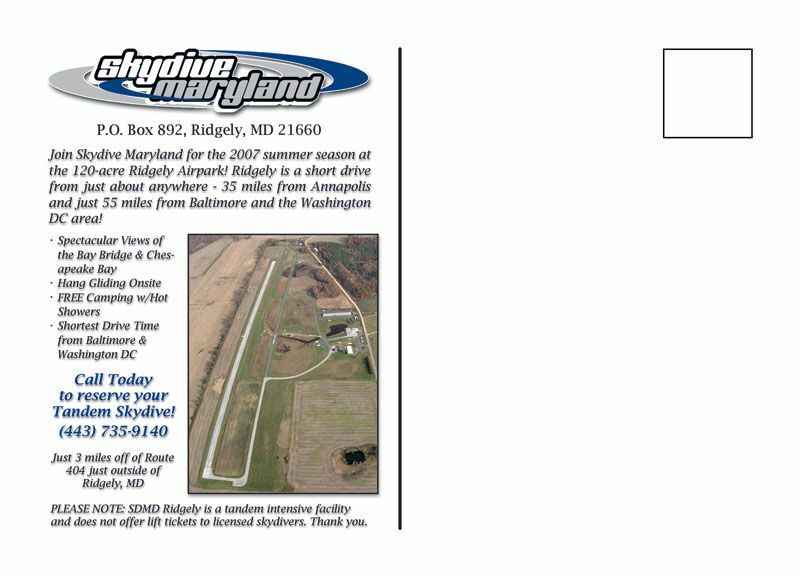 The purpose of the postcard was announce that they have moved and to let everyone know where to find them. The cards were printed on a thick 16 pt stock with an gloss coating for a sturdy, professional appearance.